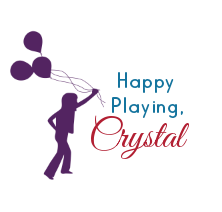 There are not words for how fun this playtime was, and so simple! Activities like these really are my absolute favorite! 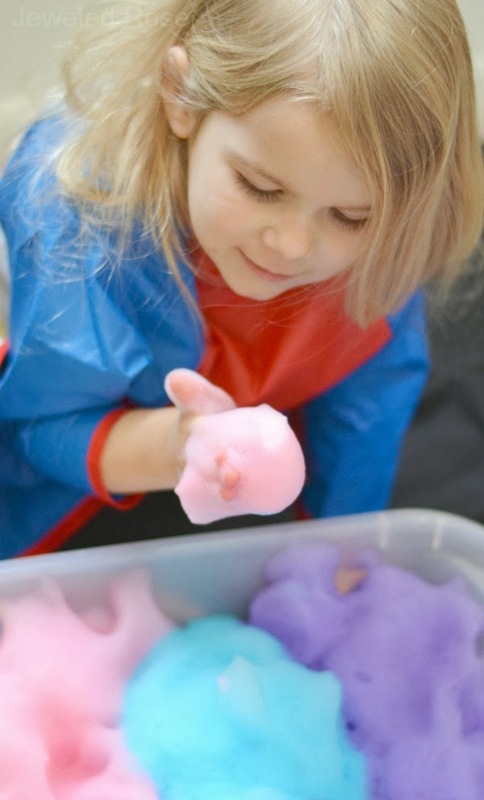 Rosie and Jewel loved playing with Kool-aid bubbles, and they also love soap foam, so we combined the two concepts to create this amazing Kool-aid FOAM! 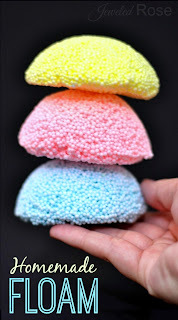 This foam was gloriously scented, delightfully fluffy, and irresistibly squishy.... and the best part is that you can most likely go into your kitchen and make it right now! 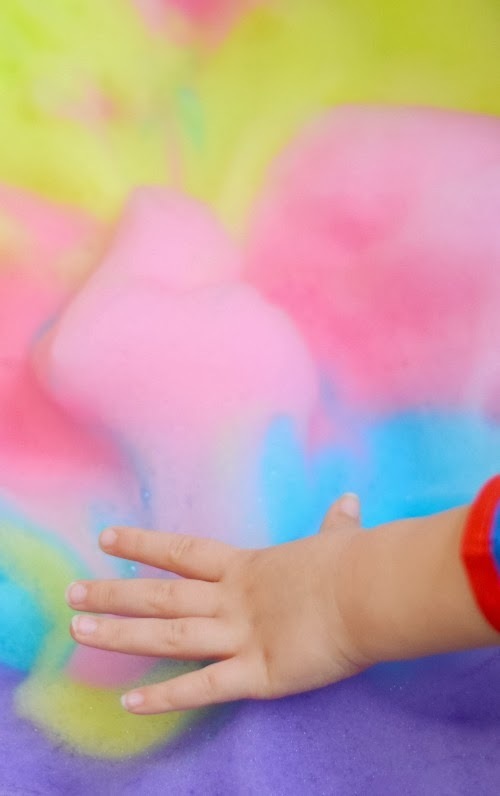 Doesn't this look so FUN & irresistible to touch? And the girls found so many ways to play! 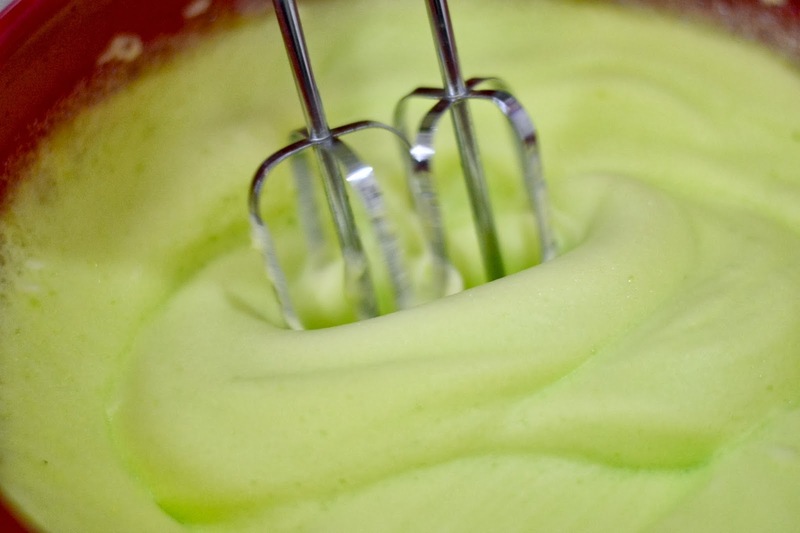 They squished and mixed and cooked and blended. 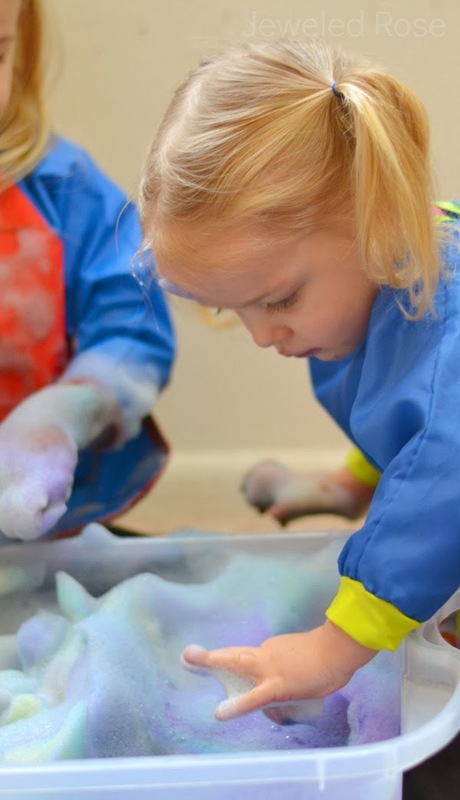 They formed foamy mountains, made colorful soap pies, and gave their ponies a bath. 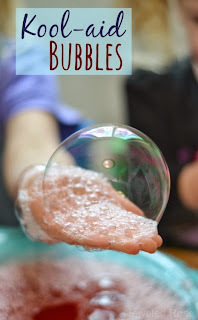 It is amazing the fun they had with this simple recipe for play, and once playtime was over the whole house smelled amazing! 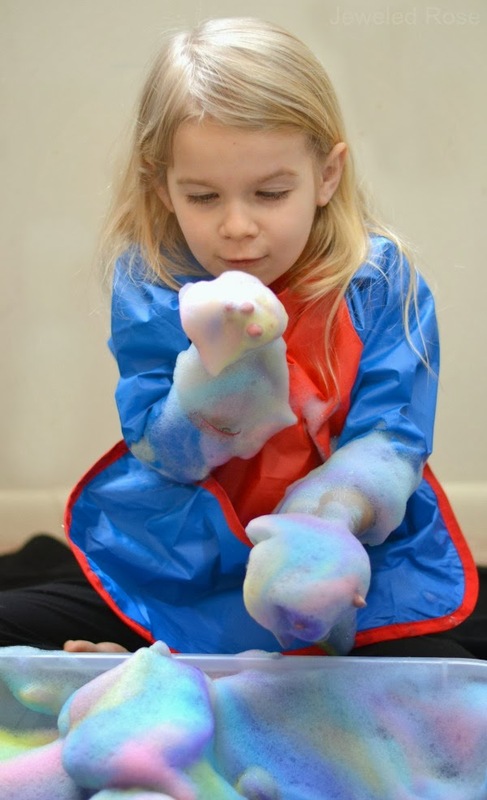 A Few Tips: We used washable liquid watercolors to add extra color to our foam, and that worked great. If you don't have washable watercolors and would like to purchase them you can get them online here. 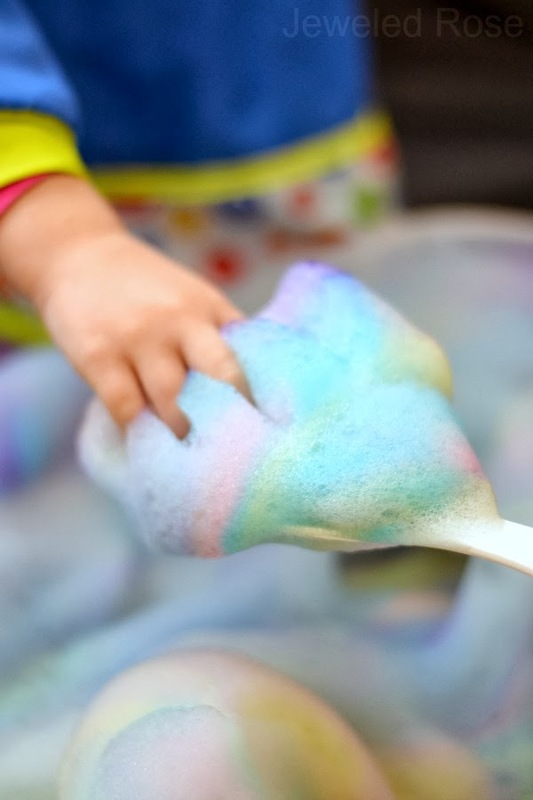 You could also use food coloring, but it will stain the skin during play. However, it will easily come off in the bath, especially if you let kids play in the water for a bit.